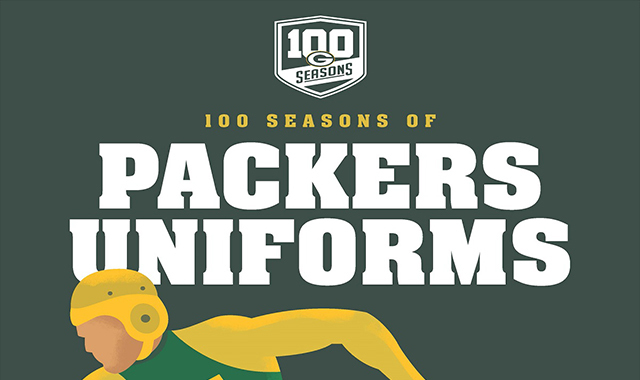 100 Seasons Of Packers Uniform #infographic ~ Visualistan '+g+"
There is absolutely no mistaking the Green Bay Packers' uniform, but it hasn't always looked the same. The team's game-day clothes have undergone an evolution over the past century, with changes to the color scheme, logos and occasional patches that mark historic seasons and moments. Here's a pictorial look at many of the variations.